When couples come in for a consultation, many walk in with sheafs of test results. They may have gone to some other IVF clinic and undergone treatment in the past and so have all these test reports to show. At times these tests are essential, while many aren’t. It’s important to note that many of these tests are also prohibitively expensive; what makes the situation appalling is that many of these tests don’t really provide any specific information with reference to infertility. 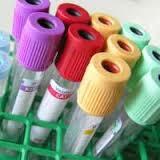 These include testing for TB, tests for NK cells and tests for TORCH. It’s not very difficult for doctors to order these tests and the other problem is that patients also expect the doctors to actually do these tests to figure out what is causing the infertility. And so, when doctors tell them to do many of these tests, they agree without a blink. Unfortunately, the actual tests that patients need to do are very few and very basic. The only things required to make a baby are sperms; eggs; uterus and open fallopian tubes. All the other tests that doctors order are really irrelevant and the information they provide isn’t useful either as they don’t alter the treatment the doctor is going to provide. And so when my patients hand me these heaps of test reports; I ask them why they have done so many of them. Most of them just give me a blank expression and the first thing they say is- “Because my doctor told me to”. Just saying this isn’t really something I want to hear from my patients. It’s important that patients be well-informed and they should be aware about why certain tests are being ordered and how they are going to be useful in the treatment. One of the simplest rules in medicine is that a test shouldn’t be done unless it’s going to change your treatment option in any way. The unfortunate part is that many doctors forget this rule; in most instances it’s for financial gain. By asking a patient to do a battery of tests, the only thing he is doing is covering all his bases. Most patients will shy from asking their doctor any questions for fear of sounding confrontational. At times, a patient who does muster the courage to ask this question will receive a very standard answer- “Just to be sure". These tests are nothing but a waste and they also create too many false passages that can mislead the doctor and take him onto a tangent- the one who ends up losing time, energy and money is you. And so, even though it might be very easy for the doctor to order tests and even more easy for a patient to do them without a murmur, it’s very important for you to be careful when these tests are being ordered. In case an abnormal result shows up, it can lead to an n endless cycle of over-testing and overtreatment- these have absolutely nothing to do with solving your basic fertility problem at all.